So long NHL regular season, hello greatest postseason tournament in professional sports. If you haven’t taken a spring to fully take in the Stanley Cup Playoffs from start to finish, please do so in 2019; I promise you won’t regret it. Now that my “please like my sport” plug is over; let’s talk about the defending champion Washington Capitals. Some would say the Caps’ title defense began back in October; however when you consider the team’s recent success even before the Cup, making the playoffs was never in doubt. The 2018-2019 82-game regular season was just short of a formality. 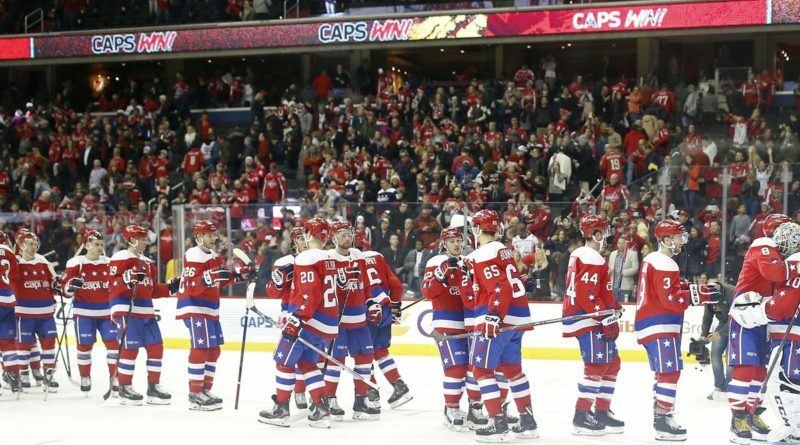 Yes, the Capitals won their fourth straight Metropolitan Division title and enter this postseason with the fourth-most points in the league; but the road to this point certainly had its series of unfortunate events. It happened back in October and lasted through the middle of November so most have forgotten by now; but Tom Wilson did miss the first 14 games of the season due to suspension. Just a few weeks after returning from suspension, Wilson was once again sidelined; this time with a concussion. Despite missing a total 19 games this season due to suspension/injury, Wilson put together a career year with 22 goals, good enough to tie for the fourth most on the team (only Ovechkin, Oshie, and Vrana had more). Then there’s Devante Smith-Pelly. Smith-Pelly became a fan favorite during last year’s playoff run, mostly for scoring clutch goals and being a black player on the team in the DMV. 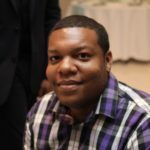 In February, DSP was placed on waivers and eventually sent to the Hershey Bears; the equivalent to a NBA team’s G-League affiliate. Rumor has it, Smith-Pelly came into training camp out of shape and once the season started, he never got around to meeting expectations set by the coaching staff based on his 2018 postseason success. Capitals General Manager Brian MacLellan said back in February that the plan was to bring DSP back up to the main roster at the start of the postseason. Monday, MacLellan addressed the media and when asked about the current plans for the fan favorite, it became evident that things have changed. As previously mentioned, the Champs won the Metro for the fourth straight year and when that happens, you obviously had to have some good fortune along the way. The leader of that good fortune was none other than the team captain Alex Ovechkin. The 33-year old captain tallied 51 goals this season. That tally is good enough to secure his eighth-career Rocket Trophy for most goals in the league. He also became just the third person in NHL history to record eight 50-goal seasons. Ovi added 38 assists to his goal total to lead the team with 89 points; Nicklas Backstrom was second on the team with 74. 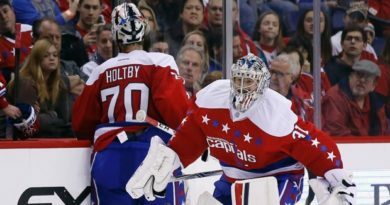 Braden Holtby went into the 2018 postseason as the backup goaltender due to his subpar regular season. In 2019, that will be nowhere close to the case. Holts won 32 of the 59 games he appeared in with three shutouts and a GAA (Goals Against Average) of 2.82. When asked what the difference was between last season and this season, the 2015-2016 Vezina Trophy winner said that he’s become more okay with letting goals in, knowing that every performance can’t be a shutout. Since the trade deadline at the end of February, the Caps have arguably been the best team in the league. That’s a huge turn of events considering the team was on a seven-game losing streak at the All-Star Break in January. Fans were in so much of a panic that they were calling for rookie head coach Todd Reirden’s job. Going into his first postseason as a head coach, Reirden is excited and knows where he fits into the equation. A big reason for Washington’s success since the deadline are the acquisitions the team made. The first domino to fall was Carl Hagelin coming to town via a trade with the Los Angeles Kings. If Hagelin’s name sounds familiar it’s because he’s made a career of having huge playoff performances; especially against his now-teammates. Hagelin is a two-time Stanley Cup Champion with the Pittsburgh Penguins; he also spent time with the New York Rangers in his career. Hags came to Washington and immediately became one of, if not the, fastest players in the locker room. Reirden has raved over him since his arrival and his ability to play nearly anywhere in the lineup is a reason why. The other roster addition came in the form of Nick Jensen. The 28-year old defenseman came to Washington from the Detroit Red Wings in exchange for Madison Bowey. Jensen then signed a four-year contract extension ensuring that he’ll be in DC through 2022. With the season-ending injury to Michal Kempny at the blue line, who was last year’s trade deadline acquisition, Jensen will prove to be a huge factor in the team’s success this spring. CAN THE CAPS RE-CAPTURE THE CUP? Now that the playoffs are here, and honestly about three weeks ago too; the focus in the Washington Capitals’ locker room is repeating as champions. Even during the chase for the division crown towards the end of the regular season, all players were concerned about was making it to this point and accomplishing what this unit is capable of. So the question therein lies, what is this team capable of accomplishing? The answer is quite simple and direct; this team can, and has a really good chance to repeat. If you listen to the typical national media figureheads, you won’t hear that, and to be completely transparent, I didn’t feel this way two months ago. It had nothing to do with the Capitals though. The league was so good this year as a whole and the parity was as high as ever. So much so that the New York Islanders looked like the team that would win the Metro until early March. The Presidents’ Trophy winning Tampa Bay Lightning haven’t had anything to play for for nearly a month now; and if you speak to any “expert” that’ll probably be the team you hear picked to win it all. If they don’t, it’ll be the equal to the Golden State Warriors’ 73-9 season with no championship; yes the Lightning were that dominant during the regular season. If the Capitals and Lightning meet in the playoffs it’ll be just like last year, in the Eastern Conference Finals. The two had three meetings during the season. All came within a two week span at the end of March. Tampa Bay won the first meeting 6-3, and the second 5-4 in overtime. 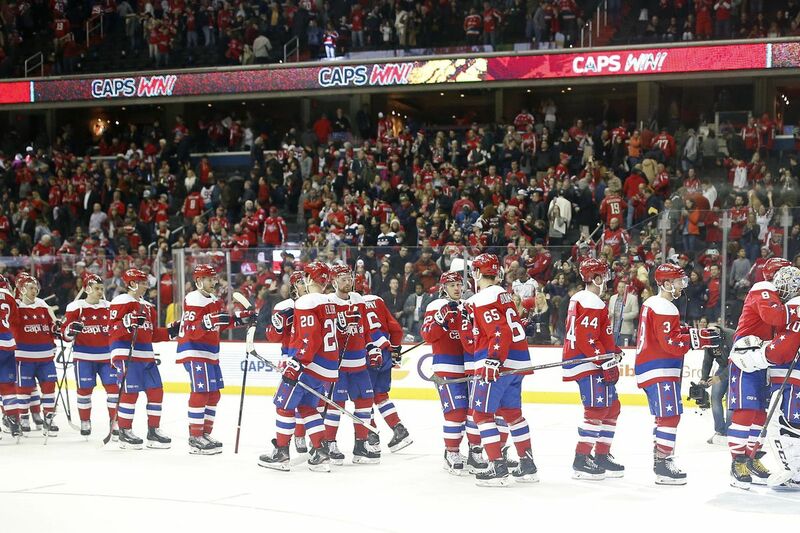 The Caps returned the 6-3 favor in their last meeting of the season series. Assuming this matchup does take place, expect it to go to seven games just like in 2018. Foreshadowing the Capitals back in the Cup Finals, they SHOULD finish the job from there. The Western Conference of the NHL this season is what the Eastern Conference in the NBA was with LeBron James; LeBron and then everyone else. In hockey this season, it’s the Calgary Flames and then everyone else. I personally don’t have the Flames making it that far, but for worst case scenario purposes we’ll make them the Western Conference Champions; Washington swept their season series with Calgary winning both games by a score of 4-3. This Thursday begins the quest and a quest it will be; but after conquering the Penguins last season and finally reaching the mountaintop, the mental aspect of winning it all is no longer a factor in Washington; at this point the boys just have to play hockey.